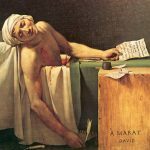 On the 13th July 1793, the radical French journalist Jean-Paul Marat was stabbed to death in his bathtub by Charlotte Corday. 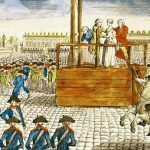 At 12.15pm on the afternoon of the 16th October 1793, Marie Antoinette was executed by guillotine in the Place de la Revolution in Paris. 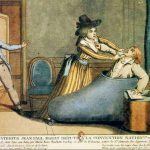 This podcast episode explores the situation in France following the execution of Louis XVI in 1793, and seeks to explain why the Convention introduced the Terror. It considers both the external and internal pressures facing France at the time, and goes on to explore how and why the Convention chose to respond in such an extreme way to the situation. 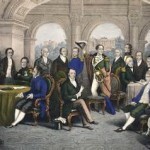 The role of Maximilien Robespierre is considered, along with an exploration of the reasons for his downfall. 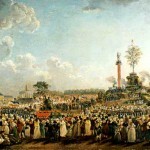 This short podcast presents an overview of the Cult of the Supreme Being, established by Robespierre on 7th May 1794 as the new national religion of France. 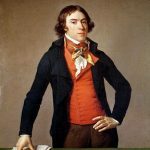 This A Level and IB History revision podcast charts the rise and fall of the Directory from 1794 to 1799. 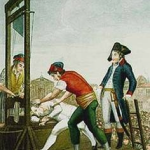 Beginning with the execution of Robespierre, the Thermidorean Reaction and the onset of the White Terror, it goes on to explore the terms of the Constitution of Year III. The challenges to the Directory are described, and the government’s various failures and successes are explained. 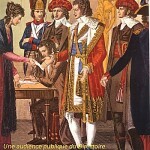 The episode finishes with Napoleon and the Coup of Brumaire. 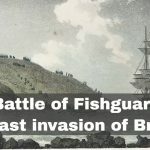 On 22nd February 1797 the last invasion of Britain by a hostile foreign force began when French troops under the command of the Irish-American Colonel William Tate landed near the Welsh town of Fishguard.